House MD, the popular TV show, has been the source of inflammatory issues surrounding medical ethics since the very first episode. I have always wondered how it is so popular, given that the real medical world resembles it in no ways. Yet, I must admit, I love watching the show and find myself to be inexplicably drawn to the series. 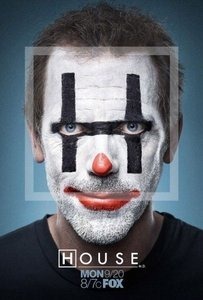 Like most budding medical students, I found House’s ability to diagnose rare diseases off the top of his head rather intriguing; I found the aura of mystery shrouding his character attractive; I found his masochistic views on life, his skepcticism towards humanity, and his moral laxity ludicrous, yet, fascinating. That is why, after all these years of watching the show, I have decided to review them, starting right from the beginning of the show. Now, you may well ask what is the need for the same, since there already exist excellent medical reviews of House MD, the most notable among them being Polite Dissent. So, why replicate the same product on my blog? Well, I have a different angle. From every episode of House MD, I will pick an inflammatory situation and then analyze it in the view of a scientifically conducted study. I will then try to see if life in House MD works out similarly to life in real world medicine. Tags: House MD, MedBlogging, Medical Ethics, PostADay2011, Reviews. Bookmark the permalink. is this series good?i would like to watch it also..
Its not good – its AWESOME!! !